The Oklahoma Chapter of the Huntington’s Disease Society of America (HDSA) is a chapter of an organization that began with the grassroots efforts of Marjorie Guthrie, wife of Woody Guthrie who passed away from complications of HD. We are putting on a Fashion Show and silent auction at Living Arts Tulsa on April 27th. The doors open and silent auction begins at 6pm and show starts at 7pm. Ticket purchase of $25 per person and includes entrance to show and refreshments. The theme is Whimsical and will include fashions from local stores, resell shops, boutiques and designers. Some pieces will be available for purchase. Items in our silent auction, snacks, and baked goods include of some fantastic items donated by many Oklahoma businesses and individuals. This event is being organized by HD family members and our models will be HD family members and supporters. 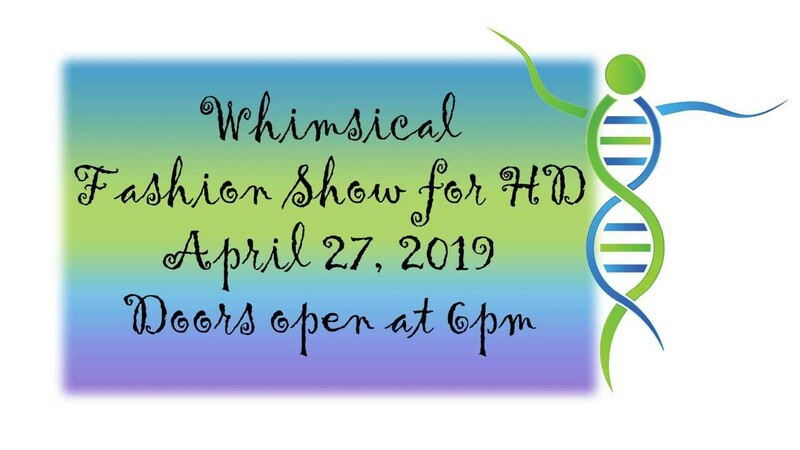 We hope to raise funds and awareness with this event, but to also give some of our HD families a chance to let their beauty and hope for a cure shine. Huntington’s disease (HD) is a fatal genetic disorder that causes the progressive breakdown of nerve cells in the brain. It deteriorates a person’s physical and mental abilities during their prime working years and has no cure. Every child of a parent with HD has a 50/50 chance of carrying the faulty gene that causes HD. Many describe the symptoms of HD as having, ALS, Parkinson’s and Alzheimer’s diseases – simultaneously. Portions off our funds raised go to research that is very promising to end this disease and its havoc it brings on those with the disease and their families. Other portions will be used in our state to hold education day events, support groups, awareness events and we are currently trying to raise enough to hire a social worker in our state to help our families find supports such as, medical, housing, mental health, and other agencies in their area.